As shown in the video! 3. Don’t forget something to help with making your own baby food! The Wean Machine, £19.99, available from major retailers and online, you can also buy coordinating products from The Wean Machine range so take a look! A great present for a new parent! The worst thing this week has been a terrible night with C last night which ended up with me sleeping on the camp bed in his room so that I didn’t have to get out of bed everytime he woke up! Believe me it was worth it, he woke up about 10 times! Bless him, he did have a temperature and he does have a chesty cough. You can join it too! Just enter your details in the linky! 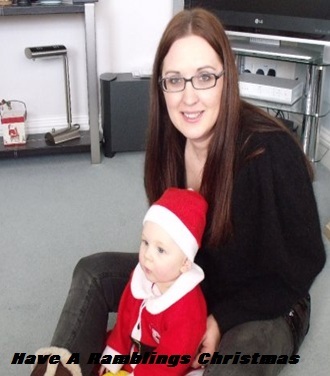 Every time I have written about things either going right in the parenting stakes The Curse of The Blog has struck. It seems like I can’t say anything about either sleep or potty training without things going really wrong! But saying that sometimes you just have to tell the story anyway! Potty training is a pretty big thing in our house at the moment. Last weeks Best and Worst Of The Week revolved around it. Well after that we had a horrendous day, we had NO successes and lots of accidents. I was exhausted and so tempted to revert to nappies again but I decided to persevere. So far I’m glad that I did. Firstly, since the day from hell we have had a run of really good days. C went to preschool two mornings and I was amazed to find that he had stayed dry on both occasions. At home he was doing well too so then came our first HUGE potty training test. We decided to go to The Trafford Centre in Manchester. It’s about an hours drive so I carefully packed changes of clothes and told C that he would have to wait until we got there etc and even sat him on a maternity bed pad that we had left over from before I had LissyLou in case of emergencies. We got there without incident and he used the toilet a number of times while we were there. He even managed to stay dry on the way home – RESULT! I hope that this time The Curse Of The Blog doesn’t strike because he is doing so well and it would be so disappointing if things fell apart now. Oh and don’t even get me started on sleep although maybe if I talk about the bad then it will get better?……………………. 8. Good looking and Eco friendly too, Salter Eco Illuminated Kettle, £44.99, watch out for my video review soon! 10. Stylish gift for the gardener from Green Fingers Hamper from Unique Boutique, £70 stuffed with goodies. 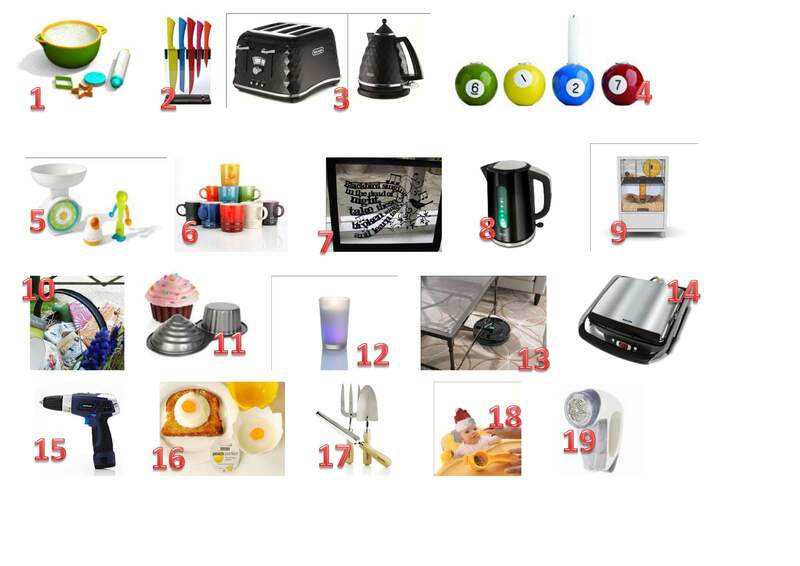 Available online, check out the full range of gifts or why not create your own hamper with some of their yummy food items? 11. Like Cake? 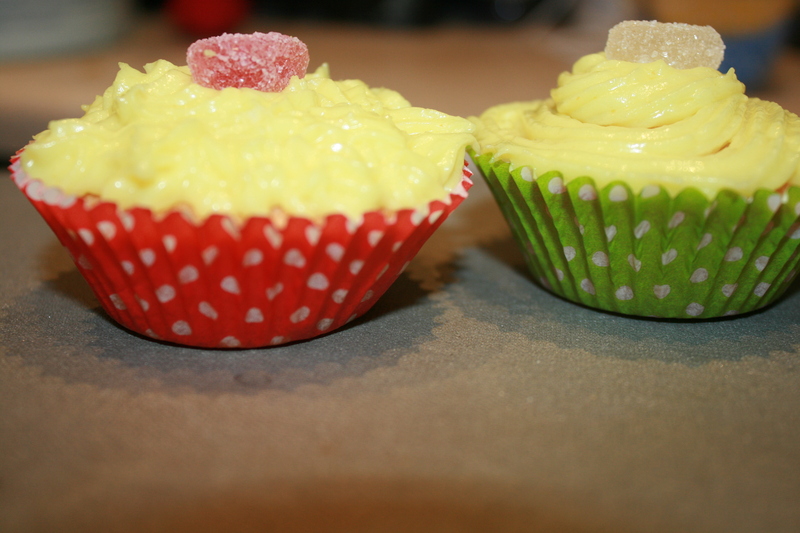 Giant Cupcake Tin from Firebox.com, £14.99, buy online watch out for my video review soon! 12. Fantastic Christmas Scent from the Airwick Frosty Selection, £6.12, buy from major retailers, watch out for my video review soon! 14. Stay healthy with the Salter Precise Health Grill, £69.99, buy from major retailers and at Amazon watch out for my video review soon! 18. Don’t forget something to help with making your own baby food! The Wean Machine, £19.99, available from major retailers and online, you can also buy coordinating products from The Wean Machine range so take a look! Watch out for my video review soon! 19. Make your woolies look good this Christmas with Bobble Off by JML, £5.99 from http://www.JMLdirect.com, Watch out for my video review soon! 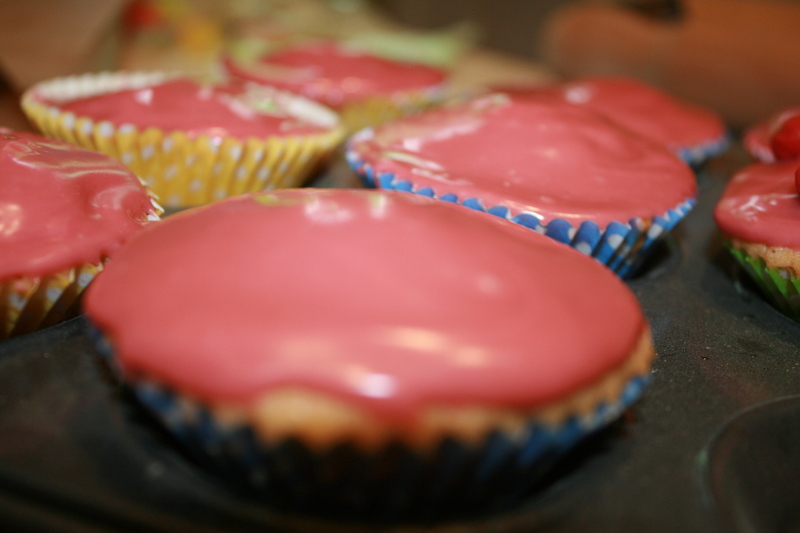 So today we decided to have a baking day in the Ramblings Kitchen. 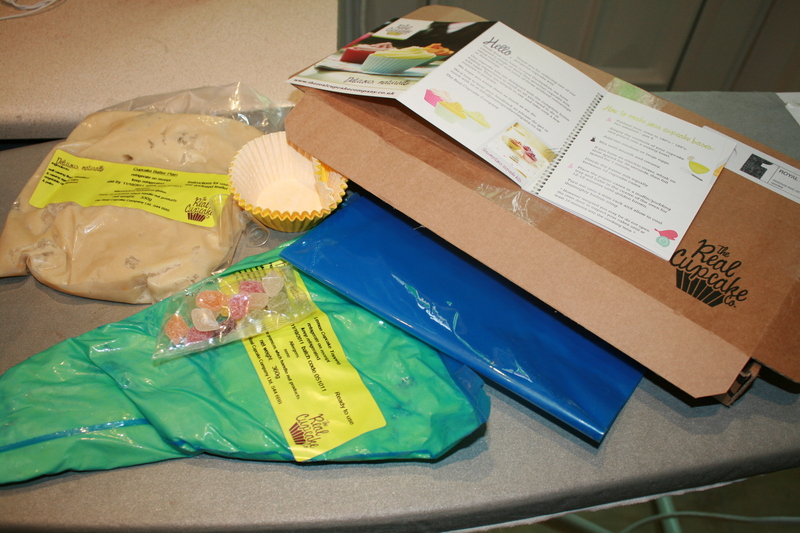 We had been sent a few baking related products to test and review recently so we were excited to give them a go. First up was a kit from The Real Cupcake Company. You might have seen me mention them in my Foodie Heaven article as a Christmas food idea! The Real Cupcake Company send their kits through the post. You then pop the bags in your fridge until you use them. They come with a best before date of around a week in advance so you have to use them pretty quickly. You only have to add 2 eggs to the kit to make them though which impressed me. The cupcake mix was easy to mix, I just added the eggs and then whisked for a minute or so and they were ready to spoon into the cases. Unfortunately, the supplied cases were a little too big for my bun tray so I used my own, I think The Real Cupcake Company ones would work perfectly in a muffin tray though. I just spooned the mixture into 12 cases and popped them in the oven. 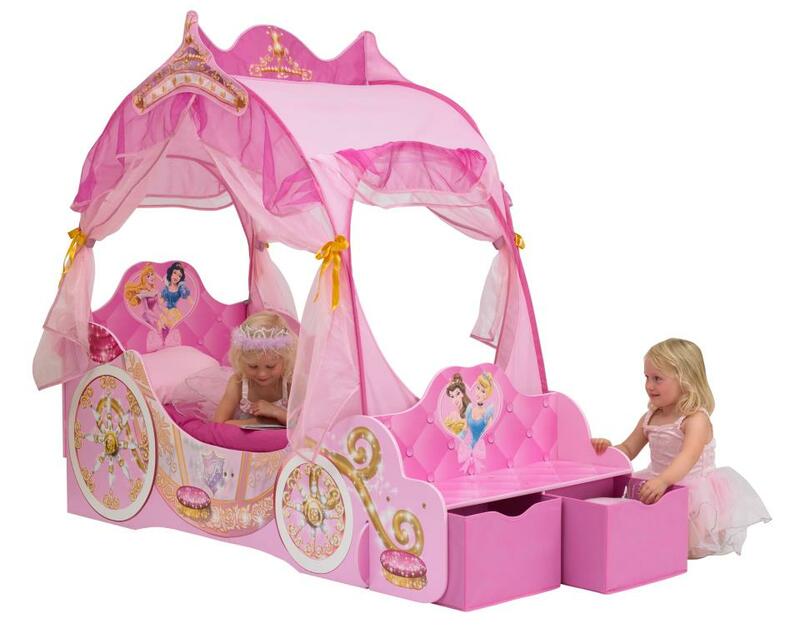 The instructions firmly told me not to open the oven for at least 10 minutes so I made a cuppa and we went to play in C’s tent while they cooked. I was pleased about the lack of washing up too, no measuring etc is always a good thing. Once cooked we let them cool and then used the piping bag and nozzle supplied to decorate the cupcakes with the Lemon frosting. The frostings are made with real fruit and delicious, natural ingredients. The frosting was very tangy. C tried it and declared “It tastes like yellow!” He also did that fantastic toddler shake that they do when things are a bit tart!. He loved that the kit also came with sweeties to decorate. I was impressed by just how easy the cupcakes were to make, and I think with a little bit of skill you could make them look amazing too. Please excuse my decorating skills, baking is not my strong suit. The Real Cupcake Company kits start at £9.99 for the Lemon, Orange and Strawberry flavours and go up to £11.99 for the wicked Strawberry and Champagne or Blueberry and Bourbon ones. A little bit more than I would usually pay for a cake kit but these were very simple and tasty and contained natural ingredients. We then moved on to some children’s baking products. 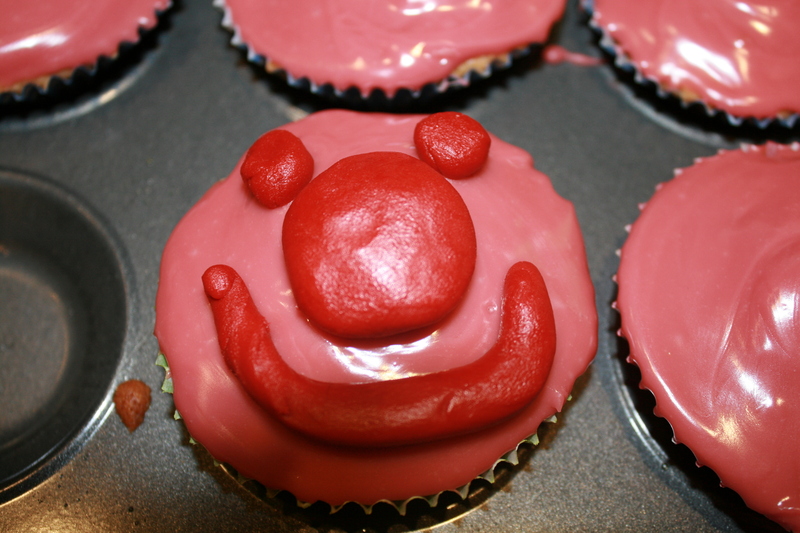 We used some of The Real Cupcake Company cupcakes to decorate with these awesome kids items. 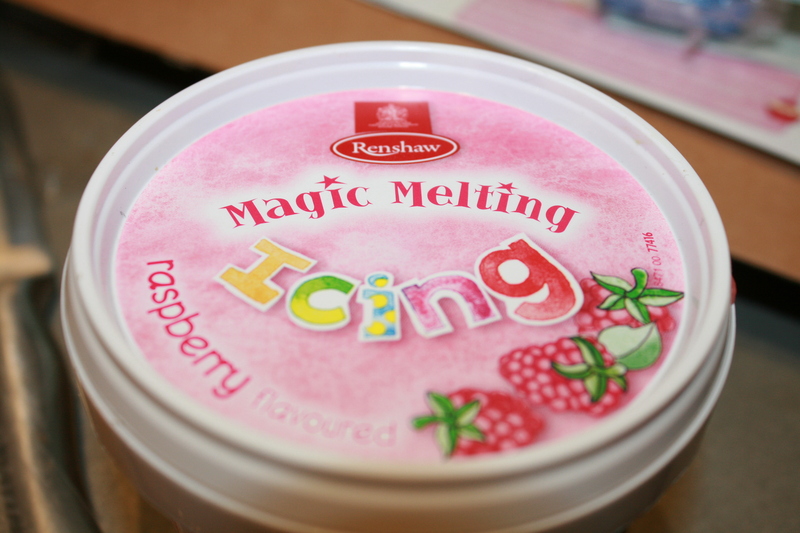 First up was the Renshaws Magic Melting Icing. A BIG pot full of a stiff icing that once warmed for just 50 seconds turned into a shiny delicious pourable icing. Not only was it really easy to use but also it tastes blooming AMAZING! The raspberry flavour will be a sure winner with children and as it’s made with real fruit juice parents will be pleased that it doesn’t contain any ‘nasties’. I loved how expensive and luxorious it looked. It was really easy to ice the buns as it was melted but not too runny. 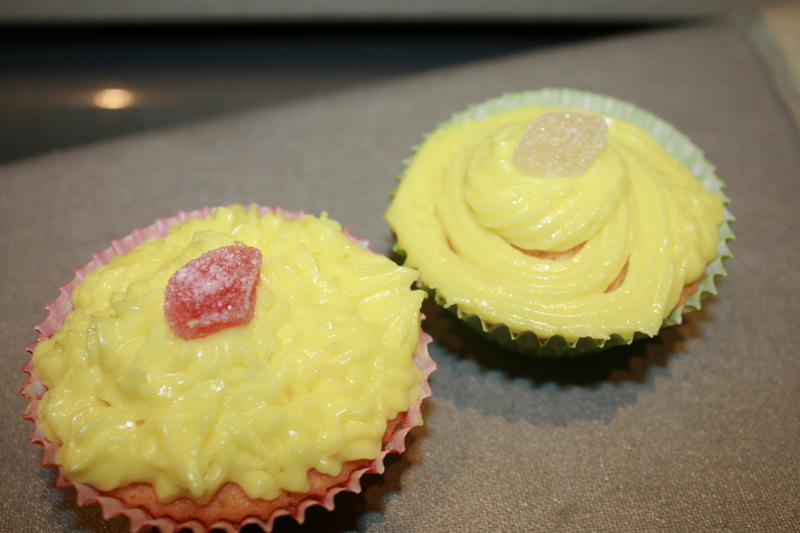 It’s also only £2.15 and would easily ice around 30 cupcakes/buns with no problem, probably even more! The other product in the Renshaws range that we had to test is the Ready to Roll Sugar Dough in the Cool colours, it included four blocks of sugardough, red, yellow, blue and green. They would be perfect for decorating Christmas or birthday cakes. The hard blocks of sugardough soon softened with a quick knead and then you roll them out and you can use cutters or a knife etc to make funky shapes to decorate buns and cakes. Now as I’m not a baker I have very few shape cutters so we had to make some basic items. I’m now on a mission to find some better cutters asap! The Sugardough costs £2.79 which seems very reasonable as you get the four colours and they roll out into huge sheets of icing so they will go a long way. Here is one of my terrible attemptes, I personally like the lifelike face. I’m really excited by other products by Renshaw, check out their website to find out more! We really enjoyed our baking day and I think we might have to do it more often.